Complete Car Care Center Inc - Let Us Give Your Car Repair Our Personal Attention! 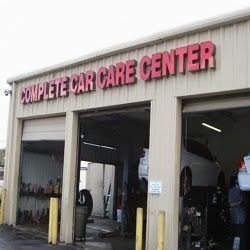 Complete Car Care Center, Inc. is a local family owned auto & truck repair facility. We have been in the Boca Raton area for 25 years. We work on all makes and models of cars and trucks,motorcycles, scooters, R.V.’s, Jet Ski and watercraft. We are also a certified Generac Home Stand By Generator authorized dealer. Complete Car Care Center is a member of Automobile Service Association and Auto Service Excellence. We are also members of the Better Business Bureau. ASE Master Tech on site. Our qualified staff is waiting to assist you with your auto concerns no matter how big or small it may seem. Allow us to be of service to you and your vehicle. We have top of the line products and tools from trusted brands such as Goodyear, BF Goodrich, Continental, Michelin, Pirelli, and Nitto. On site 0% financing available. We also have other options to assist you in your repair costs. Just ask us for all of the details. We look forward to your visit. Accepts cash, check, American Express, Discover, Mastercard and VISA. Routine maintenance, air conditioning service, front end alignment, diagnostics, batteries. Goodyear, BF Goodrich, Continental, Michelin, Pirelli, Nitto.